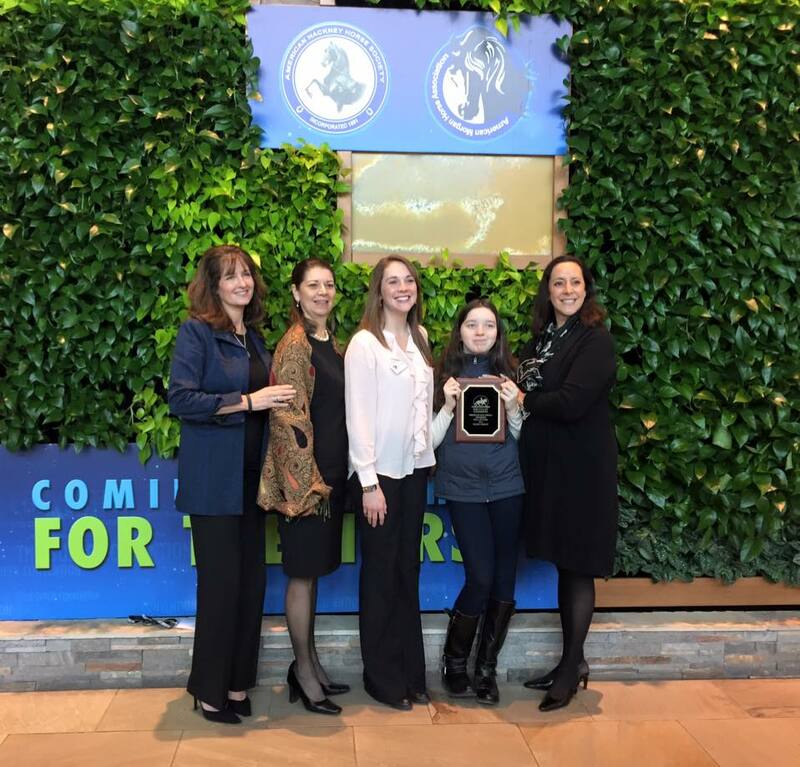 The American Morgan Horse Association (AMHA) congratulates Clea Cloutier for receiving the 2015 Youth Achievement Award. This award demonstrates Clea's loyal commitment to AMHA, AMHA Youth Programs, the Morgan horse and its community. Clea's participation in the Horsemastership Program and the Youth of the Year Contests at both a local and national level has shown her dedication to learning and building your horsemanship skills. In addition, Clea has excelled at promoting our great breed from helping with Bellewether's open barns to creating a fantastic online video demonstrating the versatility of the Morgan horse. AMHA hopes the leadership skills, responsibility, and creativity Clea has learned from participating in each component of this Youth Achievement Award will serve her throughout the remainder of her education and her career. Clea are one of the few youth who have achieved this great honor and she should be very proud! Her efforts to promote the Morgan, to raise money for charity, and to work together with other youth members in the Youth Council proves she is a great addition to the Morgan community. AMHA looks forward to seeing what Clea will accomplish next!